o Deleted, Extended & Alternate Scenes – Over 20 minutes of even more outrageous footage you didn't see in theaters! 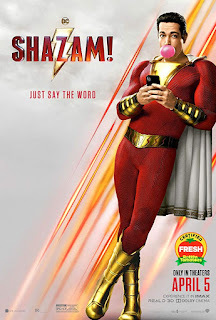 o Gag Reel - Enjoy more laughs with this side-splittingly funny gag reel. § Tale of Two Sisters - Find out how the movie’s two sisters clash and collide with hilariously disastrous results. § The Legend and the Star - Comedy icon Whoopi Goldberg discusses her hilarious role as the mother of two polar opposite sisters. § Mocha Latte Extra Laughs - Laugh along as Omari Hardwick's character battles it out in a catastrophic love triangle! § I'm Just Trusting Tyler Perry - Watch Tyler Perry in action on set. § She Ready or Not: Here Comes the Wedding Crasher - Go inside the laugh-out-loud funny scene where Tanya crashes her sister's ex-boyfriend's wedding! 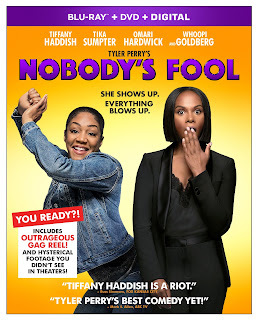 § Breakfast with Tiffany - You heard it here first: Tiffany Haddish, Tika Sumpter, Omari Hardwick and Amber Riley give the scoop behind-the-scenes of Tyler Perry’s Nobody’s Fool. § "Something New From Tyler Perry" Perfume - Watch this side-splittingly funny faux commercial for Tyler Perry’s Nobody's Fool. § "Catfished" Perfume with Outtakes - Enjoy this hysterical fake commercial for Tyler Perry’s Nobody's Fool with Tiffany Haddish.